(Boston, 12/01/2015) – Boston Global Forum (BGF) is selecting the world’s top leaders in addressing cybersecurity issues, in the three roles of government policy maker, business leader and Internet practitioner. The names of the three winners of the World Leaders in Cybersecurity awards will be announced on Dec. 12, which BGF has declared Global Cybersecurity Day, at a ceremony starting at noon at the Harvard Faculty Club, in Cambridge, Mass. Global Cybersecurity Day is meant to inspire the shared responsibility of the world’s citizens to protect the Internet’s safety and transparency. As part of this initiative, BGF also calls upon citizens of goodwill everywhere — from ordinary people to leaders — to follow BGF’s Ethics Code of Conduct for Cyber Peace and Security (ECCC). BGF includes, among others, scholars, business leaders and journalists, and is chaired by former Massachusetts Gov. 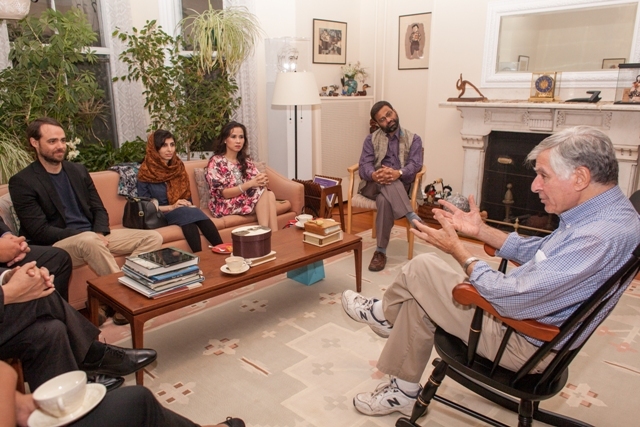 Michael Dukakis, a national and international civic leader and BGF’s co-founder. Beyond just cybersecurity, BGF also seeks to honor a maximum of three visionary national leaders with its World Leaders for Peace, Security and Development awards. Candidates would come from the presidential and prime-ministerial level. Criteria would include, but not be limited to, their leadership in cybersecurity, economic development, environmental protection, technological innovation, cultural enrichment and counter-terrorism. Governor Dukakis is chairing the selection committees for the awards, which he will present on Dec. 12. Global Cybersecurity Day and ECCC are supported by, among other organizations and individuals, the Global Citizenship Education Program at the University of California at Los Angeles, the Massachusetts Institute of Technology (MIT) and the dean of the College of Communication at the Boston University. Vietnamese Prime Minister Nguyen Tan Dung is among the leaders who have praised BGF’s cybersecurity initiative. In recent statement on November 19, 2015, he said:“The government of Vietnam acclaims the Global Cyber-Security Day initiative and highly appreciates the building of the Ethics Code of Conduct for Cyber Peace and Security initiated by policy makers, scholars and professors of the Boston Global Forum” and called for Vietnamese citizens to act towards a clean and pure Internet. Boston Global Forum brings together thought leaders to address problems that affect the world and to inspire creative and practical global collaboration to fix them. Just one example of its work is BGF’s prominent role in improving working conditions at Asia’s manufacturing centers as part of its 2013 initiatives. BGF has been hosting international meetings in 2015 aimed at building an Ethics Code of Conduct for Cyber Peace and Security (ECCC) to promote a healthy cyber environment.